Ball & Waite provide a collection and recycling electrical disposal services are fully adherent to the WEEE Directive.adherent to the WEEE Directive. Collect your redundant white goods – fridges, dishwashers etc. We provide full certification showing the outcome of your Electrical disposal, providing an audit trail for your company. The Waste Electrical and Electronic Equipment (WEEE) Regulations (2006) became law in July 2007. 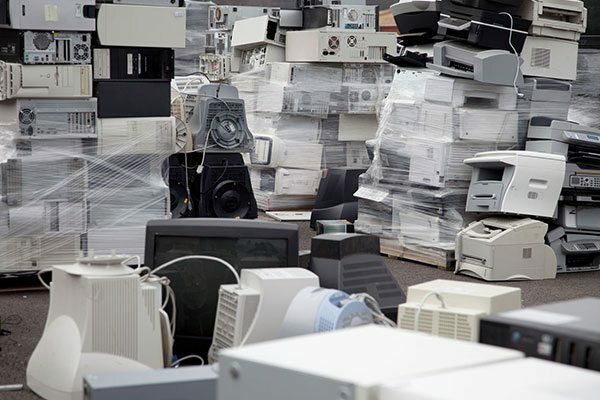 Since the legislation became effective the waste industry has seen an increase in the amount and variety of electrical waste being collected and recycled in a correct and environmentally friendly manner. In the UK, 222 million units of electrical equipment are put on the market each year, with office and business supplies accounting for 21 million of these items. Please contact us if you need any advice or a quotation – both are always free! Click here to obtain a Home Removals Quote in less than 30 Seconds! Electrical disposal – Rotherham – Doncaster – Barnsley – Wakefield – Huddersfield. Ball and Waite are part of the Specialised Movers family of Companies which greatly extends our capabilities and enables us to professionally move anything, anywhere and at any time.